How To Buy The Best Camcorder - Which? Need a hand deciding which camcorder to buy? Our expert guide will quickly give you the knowledge you need to make a great purchase. Want to choose the best camcorder for you? Join Which? to access all our expert reviews and Best Buys. A camcorder is a versatile piece of kit - it's a portable device which records both video and audio, plus still images onto solid state flash memory (e.g. an SD card), DVD or a hard drive. Camcorders offer far more advanced features and manual controls, such as a microphone input or manual focus, than a standard digital camera that can also shoot video. This makes them a great choice for anyone that wants a dedicated video recorder, however, it's worth doing your research to identify which features are important for your needs. 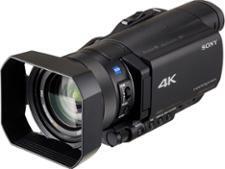 The resolution for a 4K camcorder is 3840 x 2160 pixels. The resolution for a high-definition camcorder is 1920 x 1080 pixels (1080p) or 1280 x 720 pixels (720p). The resolution for a standard-definition camcorder is 720 x 480 pixels. To discover the models that Which? 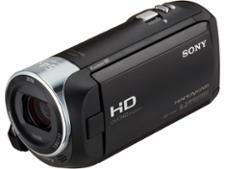 recommends, take a look at our Best Buy camcorders. How much should I spend on a camcorder? You can find a simple camcorder for £200 or less, but stretch up to £450 or more and you’ll get crisp HD footage in any situation and a good zoom lens. Pay £900 or more and you’ll get professional-quality results, and advanced features such as 4K video. Action cams can also vary in price, starting from £50 for the most basic model, and can cost upwards of £250 for some of the top-end GoPro bundles. What makes a good camcorder? While smartphones and digital cameras can shoot full HD and even 4K Ultra HD video, most struggle to match the video quality and ease-of-use of a dedicated camcorder. A camcorder’s sensor (where the light is captured and converted into digital data) are designed to capture HD footage in a wider range of light conditions, while its image-stabilisation features are built to smooth out movement in video, not just a little camera shake while you’re zoomed right in. Video controls - Some advanced models even let you adjust the field of view, shutter speed or white balance to tweak your video. Audio - Typically, a camcorder comes with a built-in microphone for capturing sound when recording video. Even though the built-in mic is superior to a microphone in a digital camera, you can even record multi-channel, surround sound with a external mic. Ergonomics - Camcorders are designed to be held aloft and steady for longer periods of time, so they have to be comfortable to hold and the controls must be easy to use. What type of camcorder should I buy? You may be looking for a simple camcorder to capture family moments or a high-end camcorder to record a hobby or make your own amateur films. Either way, you’ll find no shortage of options, ranging from pocket-sized action cameras, to top-of-the-range 4K models. Yet, while the best camcorders are easy to operate and take crisp, well-balanced video with lifelike colours, others struggle in low-light conditions or produce fuzzy footage with colours that are either far too bright or far too dull. Below, we breakdown the key differences between camcorder types. HD camcorder: HD Camcorders will give you the best possible sound and picture quality. With large sensors they can get you brighter, more lifelike and more detailed images in all conditions, from sunlight to a gloomy indoor room. While their high-quality optical zoom lenses help you get closer to the action without compromising your video quality by using a digital zoom. Pros: Impressive video quality and good audio quality, mage stabilisation systems, large optical zoom. Cons: Larger and sometimes heavier than a digital camera. Would suit: Anyone who wants to shoot high definition, with more control over their video and audio. Action cams: Made popular by the GoPro brand, these rugged devices capture hands-free video and are typically waterproof and shockproof. They're also small enough to be mounted on a helmet, a snowboard, or bike thanks to a range of mounts and accessories. Pros: Very small and lightweight, very tough, and easy to use. Can be used in places where you’d never take another camcorder. Cons: No zoom lens, some models lack a viewfinder or LCD screen. Would suit: They’re ideal for capturing extreme sports or family activities where other cameras fear to tread.